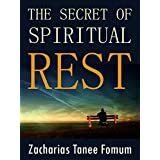 One of the fundamental lessons is that the believer should enter into rest with God. Ask God for a dealing unto rest as you grow in leadership. Again we say very emphatically, that there is no room for personal initiative. We are called unto rest, unto the rest of sons. Goliath cursed David by his gods. That did not affect David. Goliath came to David with swords but David came with the name of the Lord. Who was in control? David. Even his speech was from rest. When you start cursing then you have lost. Curses are not useful. We must labour from rest. The great commitments we have made compel us to enter into rest. We encourage rest physically and rest of spirit. The goal is not how many hours you are awake but what you accomplish. The goal was never to be in hours of sleep. God has called us first of all into His rest, and then to his work. We war from rest. A student should sleep fully in order to study effectively. Unfortunately the pride is in how much time is spent in sleeplessness. Adam was created on the 6th day, and his 1st day was God’s 7th day. His first day was God’s day of rest. He was created first into rest the rest of God. Cast your burdens at the feet of Jesus, and enter into your rest. Cast your burdens at His feet, and enter into your rest.